4 days to go na lang! 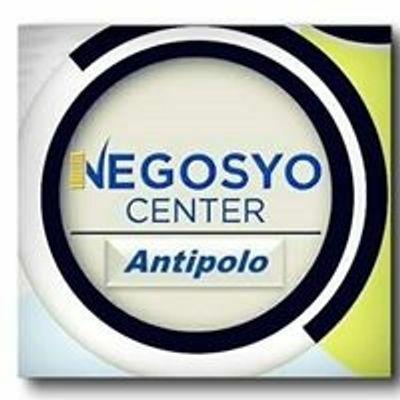 Sa lahat ng mga manufacturers sa Antipolo Rizal, magpre-register na po para makasali sa iba't-ibang programa ng DTI! FREE! 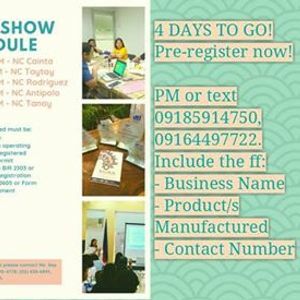 DTI Rizal is looking for MSMEs/small businesses involved in manufacturing or those who make their own products who want to be part of this year's different programs aimed at growing and improving their business. Some of these are the Kapatid Mentor Me, One Town One Product, Kalakal Fair and many more. This is all FREE. 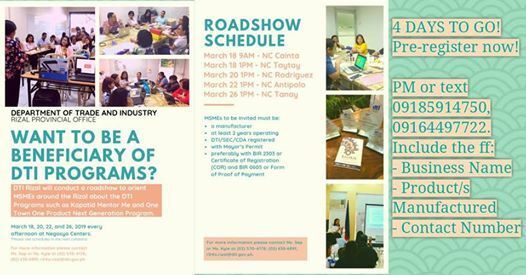 For more information, you can contact the numbers 570-4718, 630-6891 or 09185914750 and look for Kyle or Sep. Don't miss this big opportunity!